Reduce clutter and commit to the love of reading with built-in bookshelves designed like these options. Whether you want to cover an entire wall from floor to ceiling, make use of an unused space, or just want a great storage solution, the options are endless. 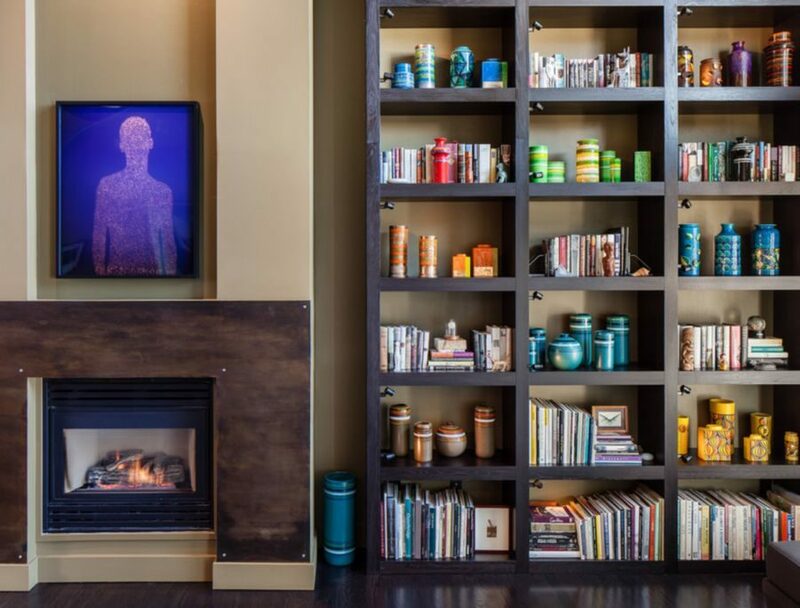 Create a design to your liking after getting inspired by these bookshelf ideas. Separate a space with a bookshelf room divider. 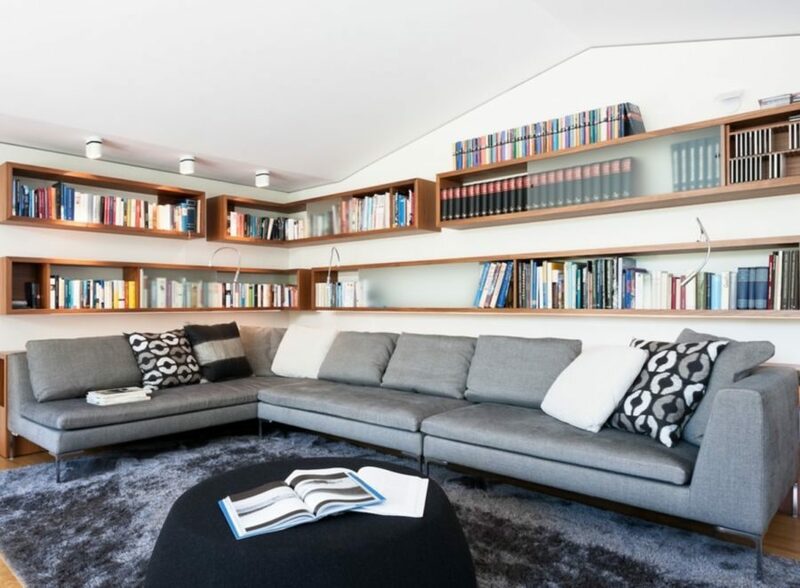 Divide a small space with a floor to ceiling bookshelf serving as your room divider. 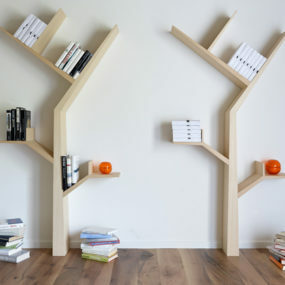 This piece is especially interesting because of the built-in bookends on the end shelves. Dark bookshelves on a light wall. 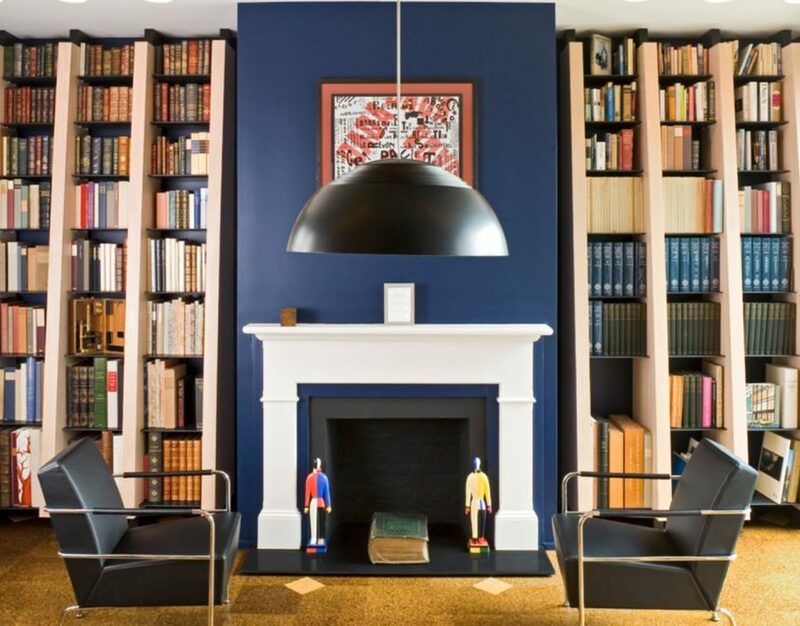 Pull the color out of your books when you accentuate your room with dark shelves. Each section is the same size on this built-in shelf, so decorate as you wish. Too much extra space above your couches? 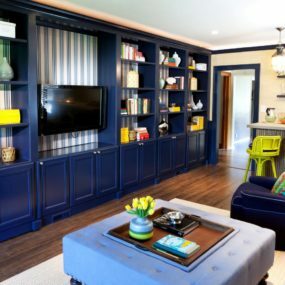 Maximize storage and create a conversation piece with floating shelves above your couches. Display kids books for easy reading. These shelves look just like a bookstore! 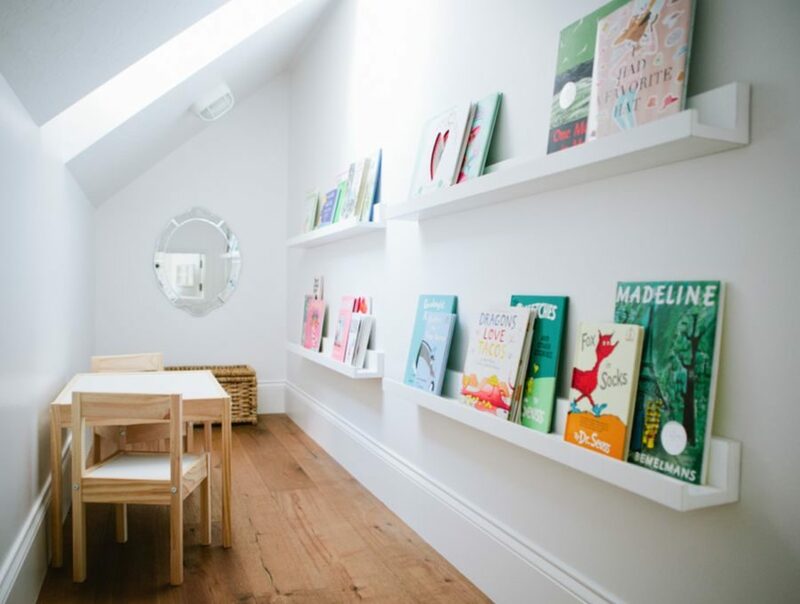 Your child will grow up with a love of reading thanks to this special floor to ceiling reading space. Add a full wall of bookshelves. 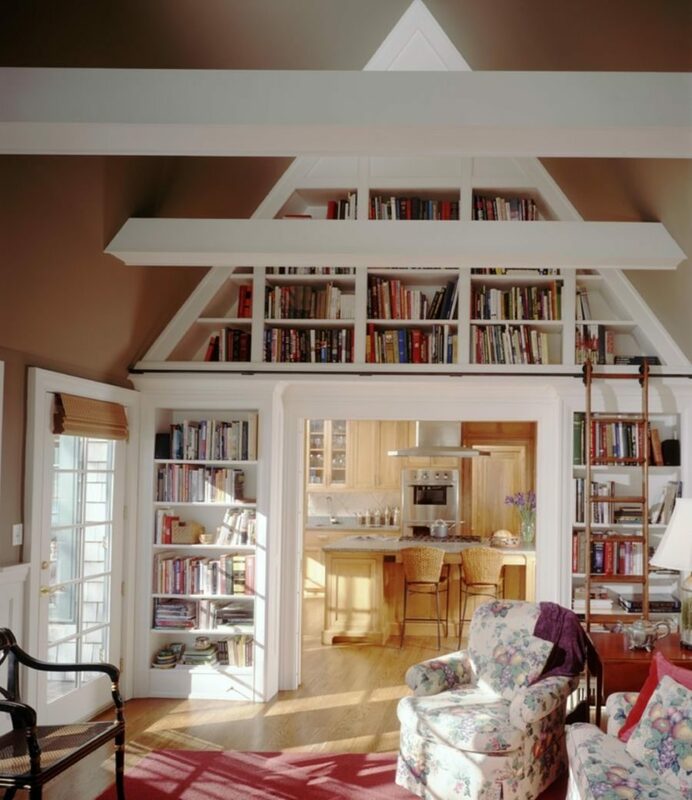 If you are really committed to your love of reading, add an entire wall of bookshelves to an often unused space. This wall in a dining room is fully in use now that the floor to ceiling shelves are installed. Keep hundreds of books with these shelves. Create a classic library with wooden bookshelves designed in the traditional style. Maximize space with these under the stairs built-ins. 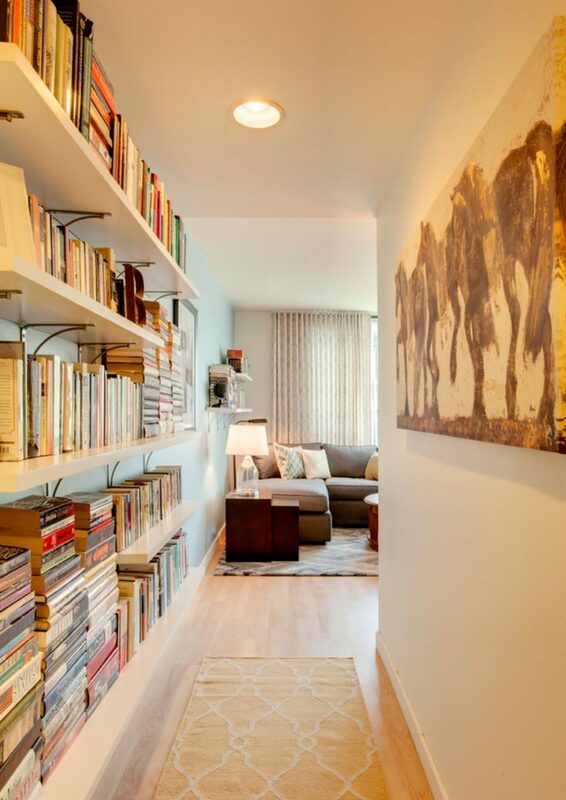 Spruce up an otherwise plain hallways with your carefully curated collection of books. These white shelves match the wall color, so you get a clean, modern look. Why not make the biggest use of your available space? 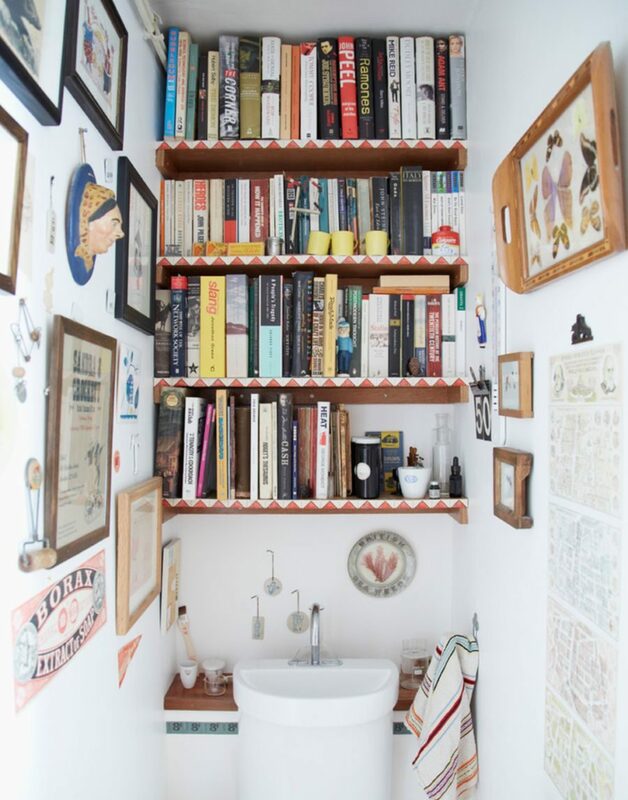 The bathroom can be a storage space for books. 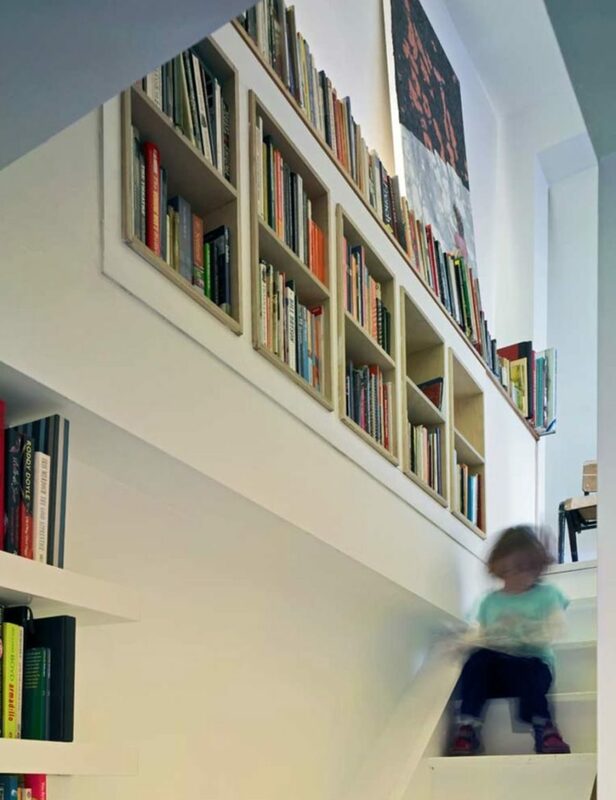 Use often ignored space with recessed shelving. Walking up the stairs typically means you walk by a wall of frame family photos or a blank wall. 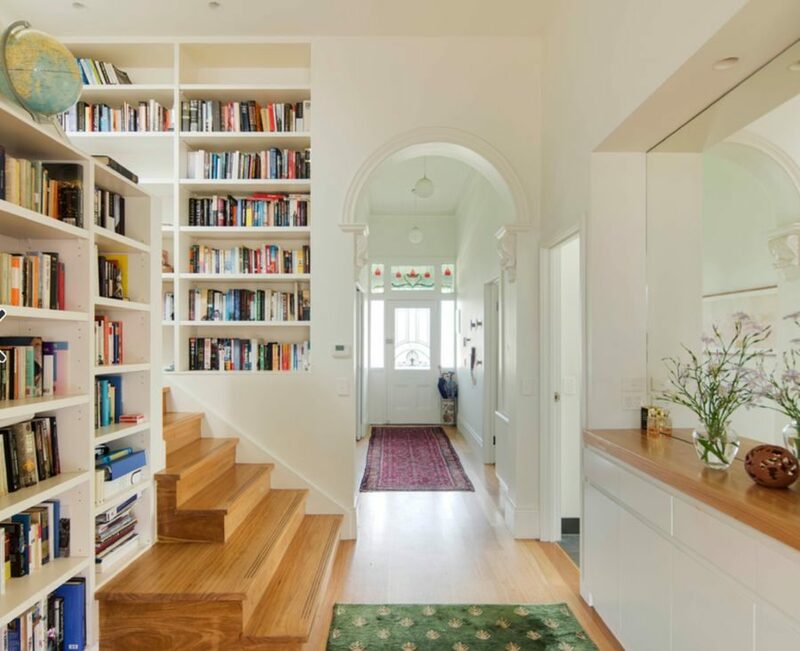 Instead, maximize your space with built in bookshelves, even in the recessed style. You’ll love the way they look and how unobtrusive these shelves are. This is another option for your staircase. Often entryways are ignored and are dead space in a number of homes. 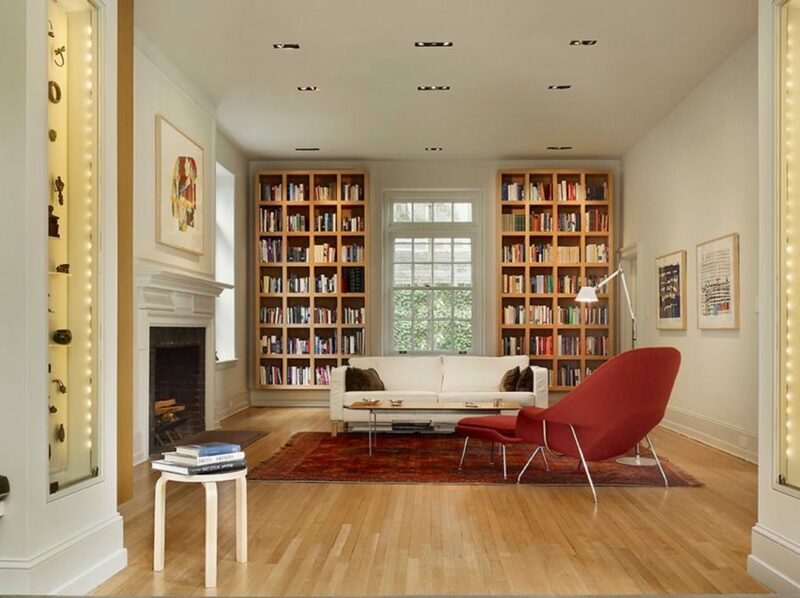 When contrasted with a blank wall on one side, this wall of added bookshelves is beautiful. Space according to your preferences. 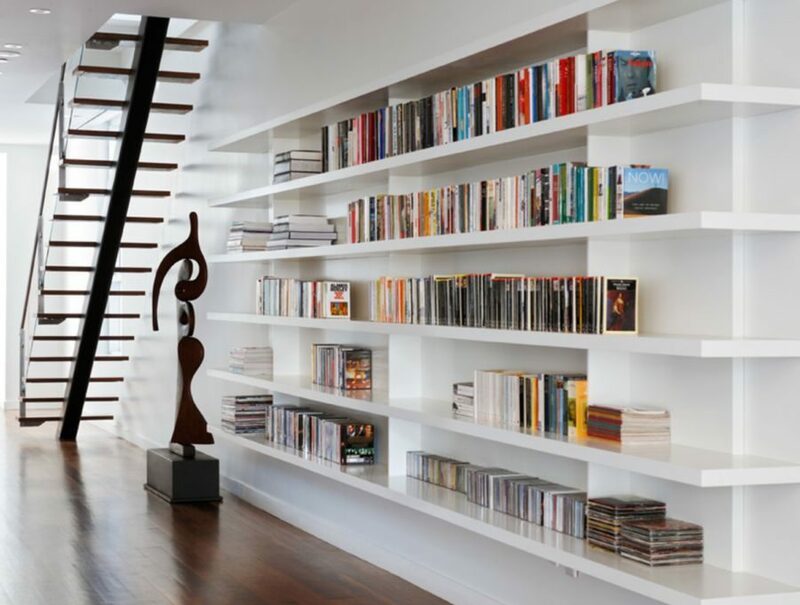 Show off your collection with floor to ceiling bookshelves. The beautiful of this bookshelf set is the symmetry it creates. 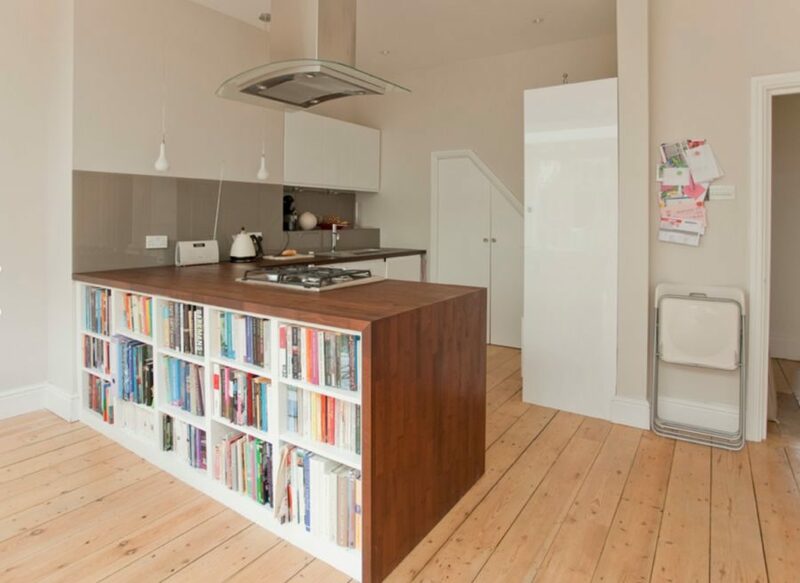 The light wood reaches the ceiling but the shelves float off of the floor (allowing room for floorboards). Consider choosing your bookshelves to match your flooring. 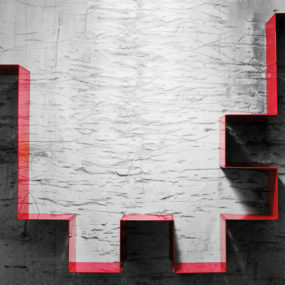 Add a geometric element to your home. 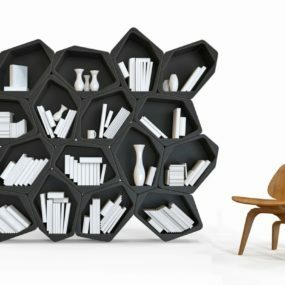 These geometric bookshelves are different than your average option. 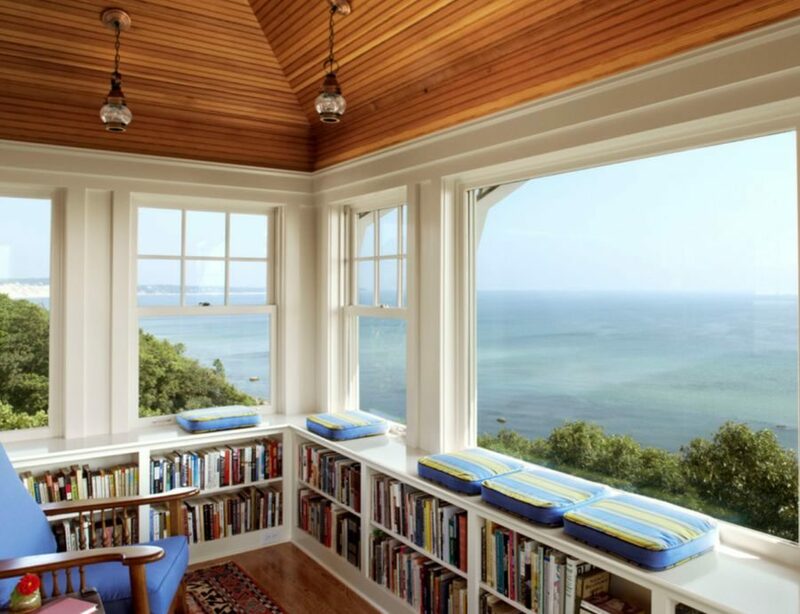 Don’t block your view with low bookshelves. Why block this beautiful view? 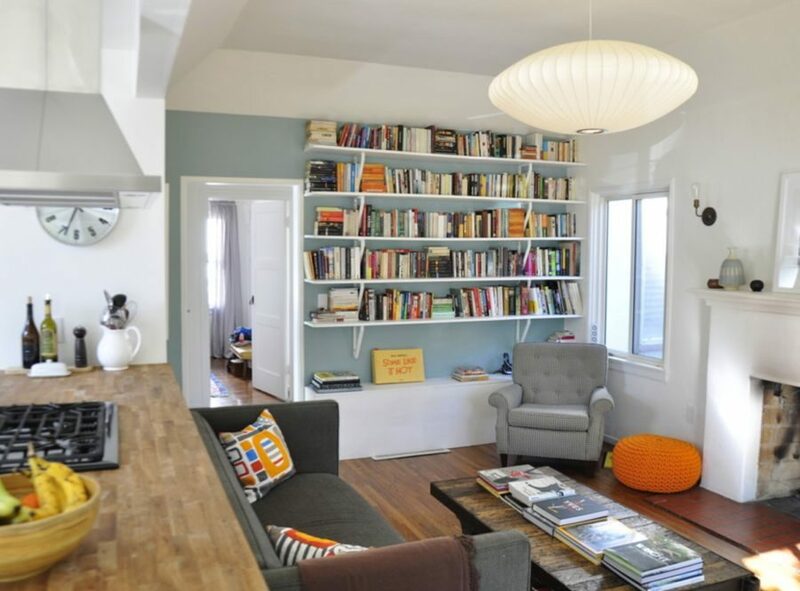 Add bookshelves below your seating. 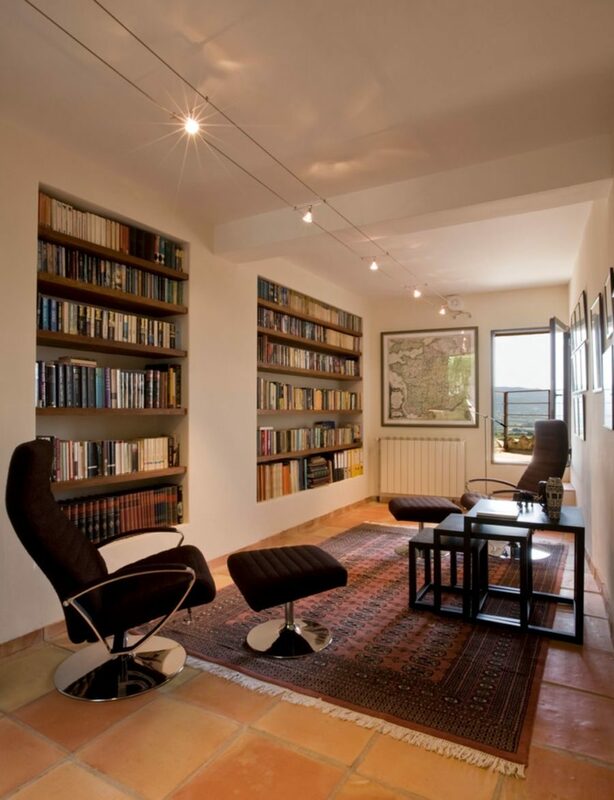 Save space with recessed bookshelves. 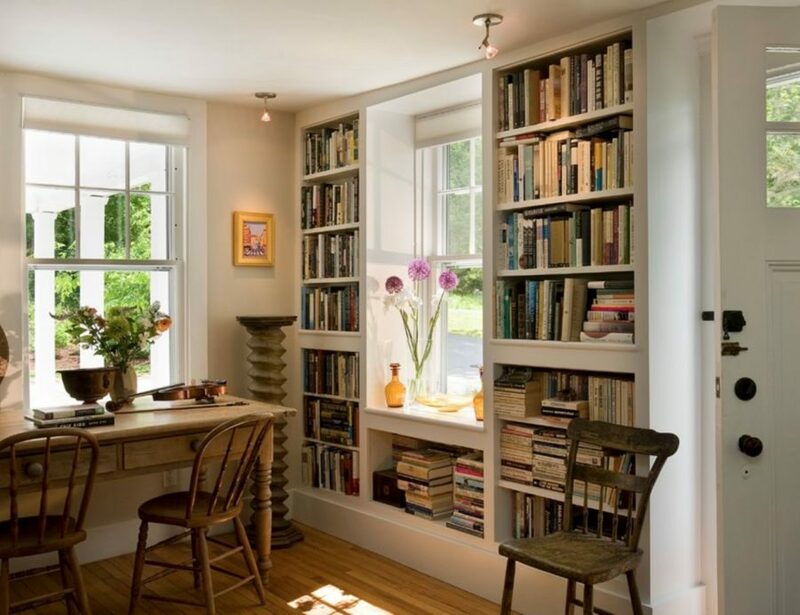 Surround a window with bookshelves. Maximize space with a kitchen island that has shelving. In many cases, the outward faxing side of the kitchen island goes unused. Why not add built-ins here? Build a space for children and adults to use. 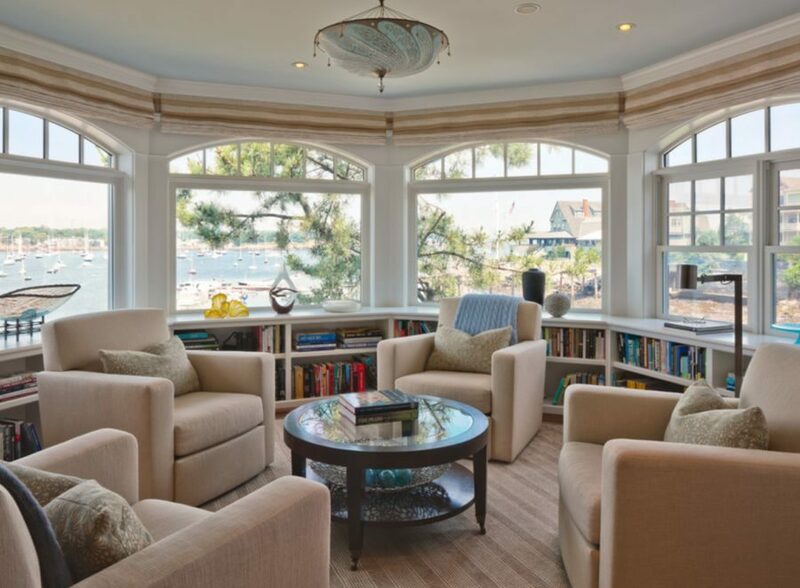 The whole family can use this reading room if necessary. Add shelving at both kid eye level and adult eye level! Display children’s books like this. If you don’t have a large space, shelving that doesn’t protrude far is the way to go. 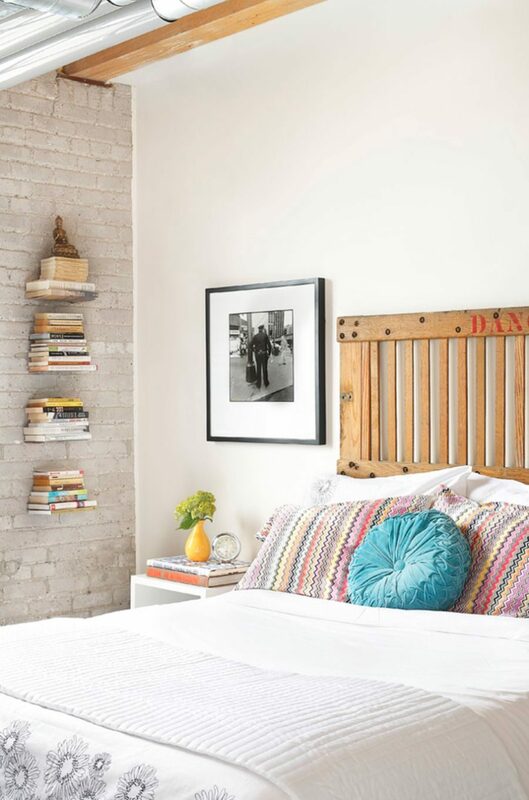 Add shelves next to your bed. 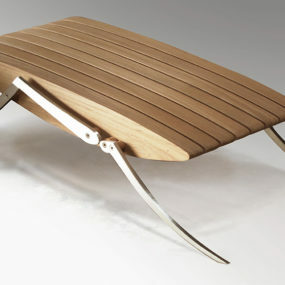 A popular option rather than a full beside table is the invisible shelf. 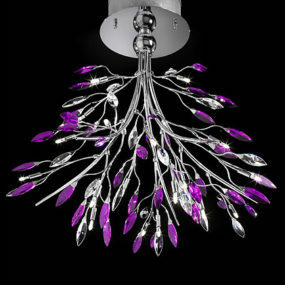 This is available online for less than $20. 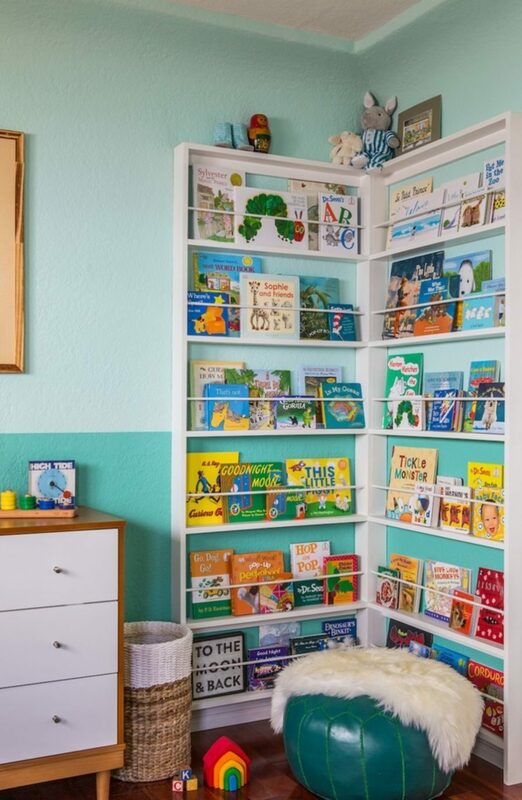 This children’s room is unique because there is space left between shelves. You could use this technique in either a child’s room or an adult’s room. 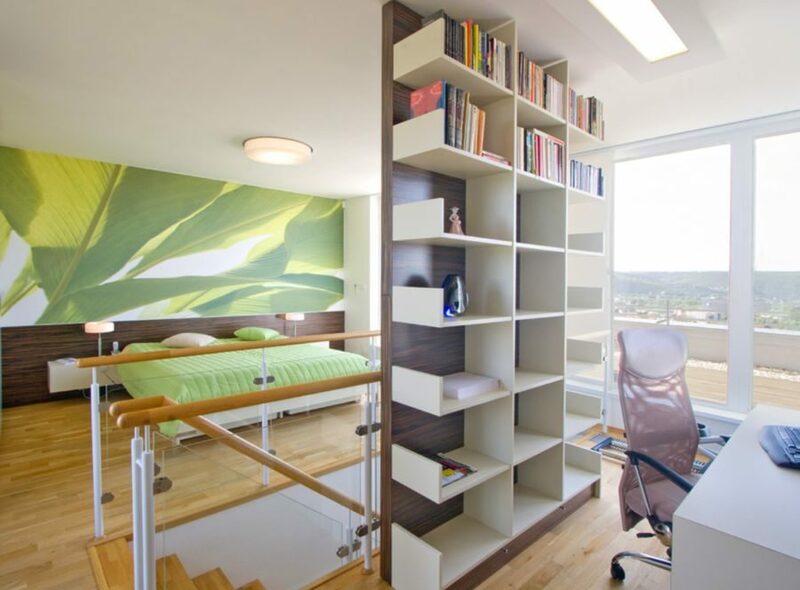 White bookshelves for your study. Start at the ceiling and work your way down with long white shelving like this. This homeowner chose to leave a gap at the base of the bottom shelf for displaying other items. 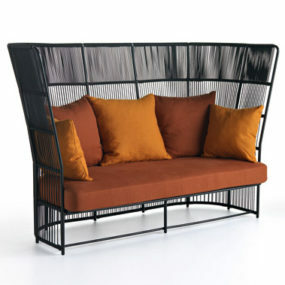 This is perfect for a small apartment like the one pictured here. 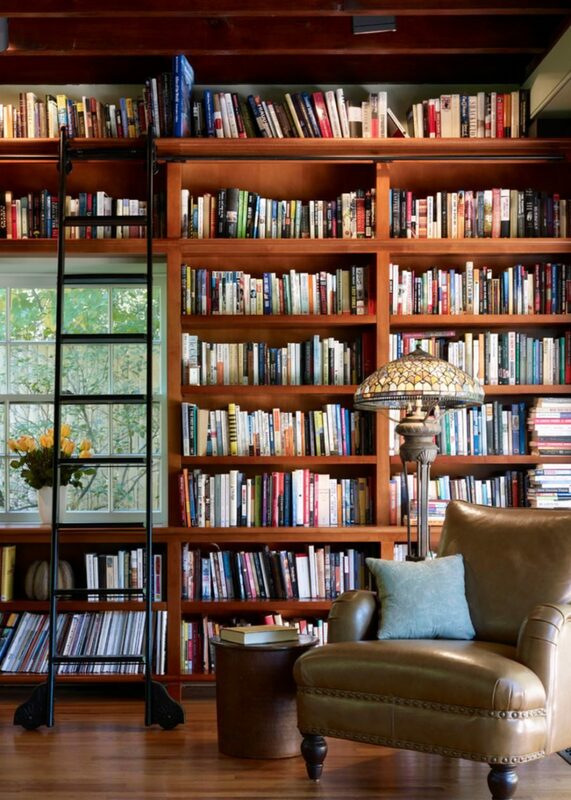 Did you find the bookshelf of your dreams? We hope you got some wonderful ideas for your own space from these built-in shelving options.